The NASSCOM IT Services Council (NITSC) has announced the launch of TechNgage, an annual initiative to enhance technology skills available within the country by providing a platform to recognize highly skilled people. 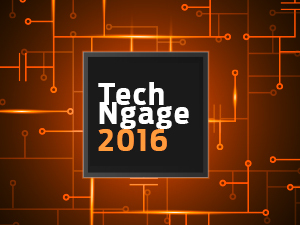 The TechNgage program has a three-year roadmap and the first year will focus on Celebrating Technologists. To kick-start TechNgage, NITSC plans to conduct a six-city tech event this year, wherein the shortlisted participants will be invited for a 24 hour session to contribute towards smart cities in India. The cities identified are Pune, Hyderabad, Chennai, Bangalore, Delhi, Kolkata and Mumbai. The event is open to all IT technologists and the winners will be awarded as NASSCOM Technology Fellows and NASSCOM Technology Explorers. Out of 15,000 participants, 1,000 will engage in the 24 hour hackathon across 6 cities. 18 participants will be selected (top three from each city) as NASSCOM Technology Explorers. Out of them, six will be invited to form teams and will be given an objective to solve a real problem with a real solution under Digital India.